Headquarters Asia Pacific's Manager, Vikas Tembhare interviews Jo Kling, from Landry & Kling Global Cruise Events. Could you brief our readers about your organization and your 35 years’ journey in to the Sea? Joyce Landry and I had both worked in several cruise line headquarters and learned there was a gap in the industry’s distribution channels. So in 1982 we founded our company to exclusively source and implement corporate group cruises and ship charters around the globe. In addition to association executive directors, our clients include corporate and independent meeting planners, venue-sourcing companies, marketing and production companies, and other event organizers looking for unique event venues. Types of events your company handling? We handle all types of ship charters, business and association meetings at sea, music festival cruises, sales and dealer incentive cruises and conventions, customer-recognition cruises, or dockside ship charters for supplemental housing for the Olympics, Super Bowl, government summits, etc. Each project is different which excites our staff and satisfies our passion for cruising. Association Business is Important. Share your experience to handle Association events at Sea. Associations have to motivate members to attend their annual events with a different destination and desirable price. That’s why a cruise is such a powerful draw. We’ve handled many associations in 35 years so we’re prepared help clients translate their traditional land-based meetings to cruises in global destinations and anticipate the differences. What do you see as the future of cruise meetings? Amazing growth, as Asia and the Middle-East are recently just getting acquainted with vacation cruises… corporate and association groups will follow, because the current cruise line order book for new ship construction (for Ocean & River ships) is larger than ever before, and it’s well-established this is a “supply-driven” industry. The beginning of contemporary cruising started between 1965-1972 in North America when Princess, Norwegian, Royal Caribbean and Carnival were founded. 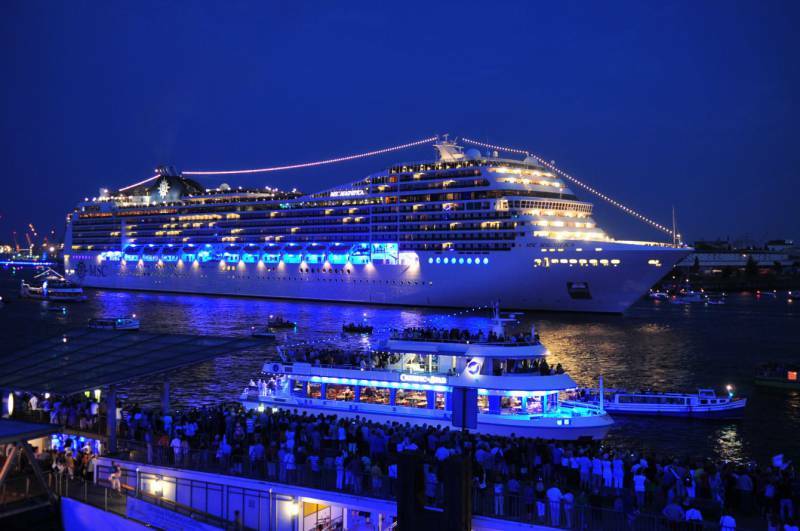 So the cruise vacation industry is still relatively young as is the more specialized cruise meetings sector, which started in 1982 with Landry & Kling Global Cruise Events. Do you see demand to host association events at sea from Asia Pacific and Middle East Region? Yes, we are seeing specific inquiries! And have already operated 3 full ship charters out of Singapore for the largest EDM (electronic dance music) festival in Asia. How do you see future of your business in the next 15 years? The future is unlimited because of our flexibility: we can source, plan and implement any kind of cruise event, or we can simply serve as a global broker in finding the right ship for a specific event. Name cruise lines you use as venue: All of them. We shop the whole industry – Ocean and Rivers - to determine best fit for our client that’s similar to client’s preferred type of hotel. How big is your team: Twelve full-time on staff, with additional program support staff as needed. 125th Anniversary of the organization, founded to promote historic preservation, education and patriotism. Its members are descended from the patriots who won American independence during the Revolutionary War. DAR is one of the world's largest and most active service organizations. WISTA is a networking organization for women at management levels in the global maritime industry. Their annual meeting rotates among various countries, and the US chapter decided to organize the 2016 annual meeting on a Caribbean cruise. The Texas Master Gardener program is an educational volunteer program conducted by the Texas A&M University System. 503 members and guests are set to sail April 27, 2017 on Carnival Liberty from Galveston.